It uses roll type PVC consumables, whose capacity is much larger than the traditional ones (the maximum capacity of traditional overshoes machine is 200pcs, and this product is at least 1000pcs). It only takes 30 seconds to replace a new roll , and one roll can be used 1000 times continuously. It is more economical than other shoe covers at equal thickness. The thickness is 28 micron, it is more durable. 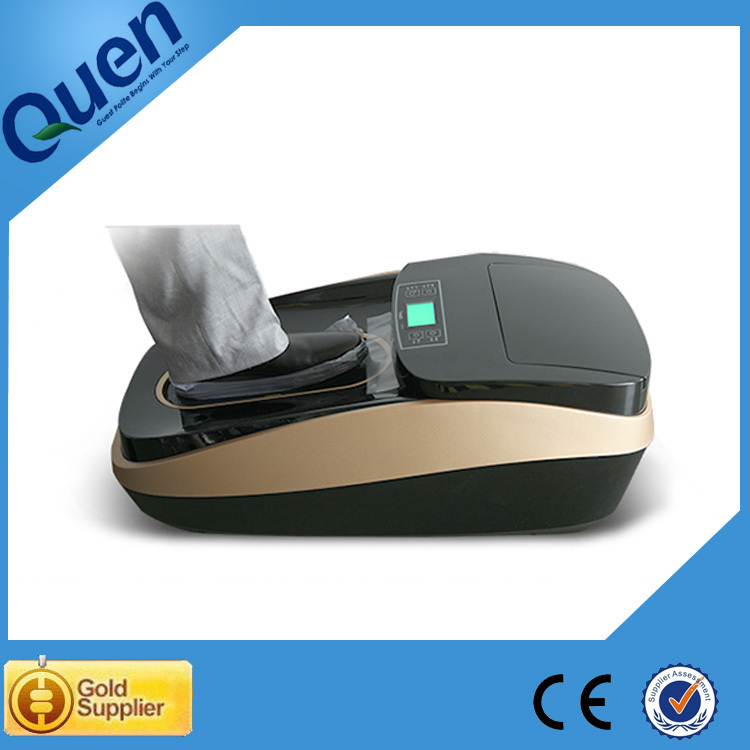 This device can output and cut the film automatically, and provides hot air. Just one step, wait for 2 to 3 seconds to cover the sole of the shoe. By wearing our PVC shoe cover, it's not stuffy for feet. The consumable material has passed ROHS certification, which is recyclable.